So can't wait to read this one! Got into the series last year and am already excited for this anthology of short stories Nalini wrote throughout the series! What Julie Kagawa fan isn't waiting for this book?! I am soooo stoped for it! Like I said, when Julie announced last spring at a signing that she was working on a vampire book I got really excited! And this was when I was still waiting in agonizing agony for The Iron Knight! I am so excited for both of these!!! Awesome WOW! I don't reach much YA fiction, but The Immortal Rules sounds interesting. I love the cover on Angel's Flight...hope you enjoy it! Oh my! What a lovely cover! Angel's Flight seems really good! I haven't heard of the Guild Hunter's series before - will have to check it out! I'm dying for the Immortal Rules. I read the sample chapter at the end of the Iron Knight and it was good. I love vampires. I haven't read anything from Nalini Singh yet but I hear she has amazing stuff. The first one is new to me... Angels are not my thing. Oh, except for Unearthly series! Enjoy! iv just got these books. i lOVE nalini singh. i am counting down the days til angel's flight. love the cover too. The Angel Flight's cover looks beautiful I should start really think about starting that series. I'm looking forward to The Immortal Rules as well. I keep meaning to read Nalini Singh's books, but I haven't gotten around to it. 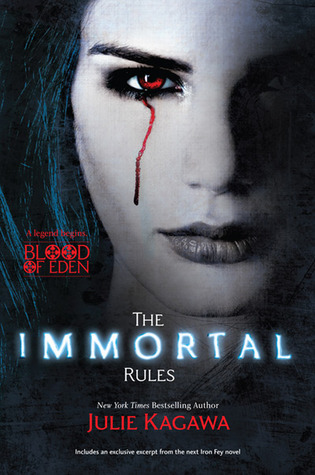 The Immortal Rules is on my tbr list though - can't wait till it comes out! I'm also excited about Kagawa's new series. She's a very talented author. Beautiful cover for Angel's Flight. 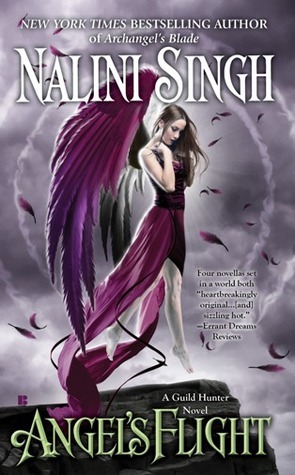 I haven't read anything by Nalini Singh yet... :( but it sounds great!! Great Picks! I'm excited for both of these! Thanks for stopping by my WoW. I hope you can get your hands on these!! Thanks for stopping by! I'm looking forward to The Immortal Rules too. Great picks! I still haven't read any books by Julie Kagawa yet. I just have a lot to read. It looks great, though.